Leadership denotes a social influence process through which an individual acquires the support and aid of others in accomplishing a common goal (Robert, Anna & John, 2004, p. 7). The concept of leadership is part of a vast subject, which has numerous and confusing terminologies and ideas. The wide nature of the field of leadership can be exemplified by the large number of leadership theories, styles and models that make up the matrix of leadership in all forms of organizations. Like most bodies of knowledge, the subject of leadership and its content has grown through times in a considerable manner, and this has led to the introduction of new concepts and ideas (James, 2003, p. 72) A leadership theory loosely refers to a philosophy or model pursued in effecting leadership and may represent an idea or concept within the subject of leadership (Businessballs.com, 2012, p. 1). On the other hand, a leadership style denotes the approach or manner of motivating people, implementing plans and offering direction in leadership. In a nutshell, it is a description of manner in which actual leaders behave when they lead. This paper briefly makes a critical review of theories and styles of leadership. It explores the robustness of traditional styles and theories of leadership so as to determine whether they can be applicable in current times. The current world is characterized by dynamic expansion of corporations into the international market. A large number of the organizations moving into the international arena encounter differences in social, economic and cultural structures. The operational environment varies across the globe and there is very little likelihood that the situation in one place could be similar to another (Mintzberg, 2007, p 5). As such, there is a need for styles of leadership to be made applicable and adaptable to the varying operational environments so as to meet the different needs of different people. The traditional styles and theories of leadership are not easily transferred from one global region to another given the great differences in economic, political and social factors. Hofstede’s recognition of cultural dimensions was perhaps the first strong recognition of the great regional differences that elicit different forms of leadership (Hofstede, 1980, p. 71). For example, the traditional styles of leadership based on an autocratic approach may not be applicable in a modern, western society where the power distance (PD) is minimal. According to Hofstede, PD is the inequality that exists in terms of power among people in a working relation. In the developed western world organizations are struggling towards attaining a flatter world and organizational structure rather than a hierarchical one (Bruce & Patrick, 2008, p. 104). Therefore, in such places delegative and participative styles of leadership may be more acceptable. However, it has be noted that once an organization expands internationally in to the East, Middle East or southern parts of the world such as Africa the styles that suit the west may not be appropriate because in most of these regions wider power distances are acceptable. Additionally, technical expertise and operational skills may be far behind the organization’s expectations (Posner & Kouzes, 2002, p. 41). As such, delegative approaches may not be productive, but instead what may be required is a firm authoritative style with calculated directions to deliver the desired end. In essence these considerations will elicit the application of situational leadership theory. On the other hand, organizations expanding from the East and Middle East into western hemispheres may encounter different socio-economic and cultural set ups that may require different approaches to leadership and an application of different theories. Hofstede’s index on individualism (IDV) notes that the element of collectivism or individualism varies across the globe. The Individualism index (IDV) denotes how strong ties people share within a community or organizations. In the East consultative forms of arriving at solutions may be the best approach to leadership, but in the west IDV is higher and leaders are expected make acceptable decisions individually and with limited consultation because of the power they hold. These differences are a result of the interplay of cultural elements within society, and best exemplify the need for adoption of leadership styles and theories for different situations (Johnson & Blanchard, 2008, p. 162). Theories of leadership and styles are to a larger extent contextual in nature. For example, the trait-based theory of leadership recognizes that leadership is defined by personality and behavioral tendencies related to effective leadership. The proponents of the theory were keen in defining the traits that define effective leadership (Zaccaro, 2007, p. 13). However, they may have failed to recognize the fact that traits regarded as essential for leadership vary across the globe and traits that may be recognized as essential for leadership in one region may not be equally or highly regarded elsewhere and thus creating a difference between the choice the organization may make for the people and their actual expectations (Locke & Kirkpatrick, 1991, p. 37). Therefore, if such a theory was to be applied in the selection or training of leaders locality-based considerations, perceptions and other elements specific to the new location have to be factored. 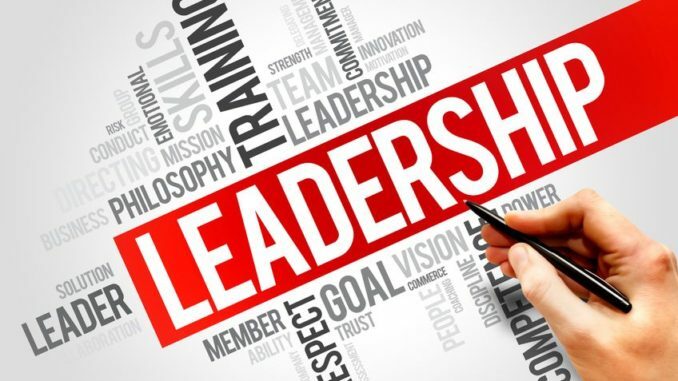 The trait-based theory may indeed help in the identification of future leaders, but it has to be recognized that traits are just a small part of the profile of an effective leader (Dennison, 2003, p. 23). In order to measure and understand leadership in a comprehensive manner the criteria for leadership must be broadened to cater for other factors that are beyond the traits. In essence, the trait theory is very limited and only caters for a section of the considerations to be made. The transformational style of leadership is also a good example of how applicability of a theory may fail on an international scale of application. This theory calls for the leadership to tap into the values and needs of the followers in order to inspire a leadership that has a strong appeal and increases conviction and confidence in the organization. On an international scale of expansion and application, this virtually impossible because values and needs vary greatly and therefore, hundreds of adaptations may be necessary for success (Curlette et al. 2009, p. 230). In essence, traditional theories seem to get it right on some aspects, but their effect and influence is limited contextually and region-wise. The trait-based theory for example, may befit only a certain, limited region with common characteristics in terms of perception of leadership. Therefore, while some of these traditional theories can still find use in current corporate leadership, their applicability is limited. Interestingly, virtually all traditional theories may find some form of limited application. The challenge thus becomes the development of a working framework that clearly outlines where applicability is possible as well as where it is limited. The international business field may in essence require a new theory or set of theories that could serve leadership in the international world. However, it is prudent to be cognizant of the fact that traditional theories are not totally worthless, and the design of any new theories and styles of leadership may indeed still need to borrow some elements from these styles and theories. Therefore, whilst looking at new ways to develop the styles and theories that suit the international arena, there is still a need to review traditional theories to learn from their weaknesses. In conclusion, traditional theories and styles of leadership lack the robustness necessary to fulfill the needs of leadership in the international arena. While the theories still find limited applicability, full dependency of leadership on them may miserably fail due to new world dynamics. These styles and theories are not fully applicable in all international situations or locations where corporate organizations may intend to reach. The regional landscape varies widely in terms of socio-economic and cultural elements. As such, leadership on such a wide scale requires a re-consideration of the theories in use and probably a formulation of a better theory to take care of the variability. The new theory or set of theories should come up with comprehensive frameworks of handling weaknesses in the traditional theories and styles, whilst introducing robust handling of leadership situations. Curlette, W. Snow, J. & Kern, R. &Frey, M. 2009, Lifestyle and Transformational Leadership Style; Journal of Individual Psychology, 65(3): 212-240. Greenleaf, R. K. 1977. Servant Leadership: A Journey In to the Nature of Legitimate Power and Greatness. Paulist Press, New Jersey. Hofstede, G. 1980. Culture’s Consequences: International Differences in Work-Related Values. Beverly Hills: Sage. James, A. T. 2003. Leadership at all Levels. Boskwa Publishing: Canada. Johnson, D. K. & Blanchard, P. H. 2008. Management of Organizational Behavior: Leading Human Resources, 9th edition, Pearson Education: Upper Saddle River, NJ. Locke, A. E. & Kirkpatrick, A. S. 1991, Leadership: Do traits matter? Academy of Management Executive, 5 (2): 34-42. Zaccaro, J.S. 2007. Trait-based perspective; American Psychology, 62 (1): 7-16.